Circle December 6, 2017 on your calendar! That’s the night you’ll be at The Edgewater, sipping cocktails, playing your favorite old school arcade games, dancing to live music and rubbing elbows with your tech and startup friends and colleagues - all the while supporting the United Way of Dane County and Sector67. Your ticket includes appetizers, a buffet style dinner, dessert and a cocktail, plus access to arcade-style games (PacMan! Centipede! Frogger! ), live music by a string trio from the Madison Symphony Orchestra, and the chance to have your caricature drawn by artist Bernie Tennis. This isn’t your typical charity fundraiser event - it’s a fun gala with a twist. This event is open for anyone to attend - whether you work at a tech or startup company, are an entrepreneur or freelancer, or just want to join in on the fun and help a good cause. 100% of your ticket purchase price will go directly to the partner charities, and the entire cost of your ticket is tax deductible. The event expenses are fully covered by our presenting sponsors. United Way of Dane County fights for education, financial stability and the health of everyone living in Dane County. We are committed to the vision of a Dane County where everyone can succeed in school, work and life. To facilitate this, we follow our community’s Agenda for Change, six goals focused on three priority areas of Education, Income and Health – the building blocks of a stable life. Through strategic partnerships and collaborative work, we are bringing the many voices of Dane County around a neutral table to find common ground and make measurable progress, while providing organizations and individuals the opportunity to give, advocate and volunteer to change lives in Dane County. Sector67 is a non-profit collaborative space in Madison dedicated to providing an environment to learn, teach, work-on, build, and create next generation technology; including software, hardware, electronics, art, sewing, metalwork, apps, games, etc. Sector67 provides inspiration, tools, equipment, and resources for anyone interested in making things. It’s a community of tinkerers - some are hobbyists, others entrepreneurs, and many are young people learning a new skill. It’s been named the most interesting makerspace in the country by Make Magazine, and a top 5 space in the world to watch by Gizmodo Magazine. Want to make it a fancy evening? Go ahead and dress to impress. Want to bust out your '80's throwback attire? That would be rad. Want to keep things casual? That's totally fine too. Come as you wish and join for a fun evening. Onsite paid parking is available in The Edgewater parking garage ($3/hr). Street parking in the Langdon St area is also an option, along with other downtown parking ramps. One drink ticket is included with your admission. There will be a fully stocked bar available (beer, wine, mixed drinks), and a cash bar is available. Non-alcoholic options are also available. Passed appetizers, a buffet style dinner (including carving stations, salad, potato, and rolls), and light dessert are included with your admission. Vegetarian items are available. Madison has the fastest growing tech industry in the country and a thriving startup scene. Building a strong community of tech startup leaders through organizations like Capital Entrepreneurs has always been an important component of building this ecosystem. As Madison’s tech ecosystem has emerged and our companies have continued to see success and grow their teams, our tech startup leaders are passionate about not only making Madison a great place for tech startups, but are also committed to helping ensure the whole Madison community is a great place for everyone to call home. 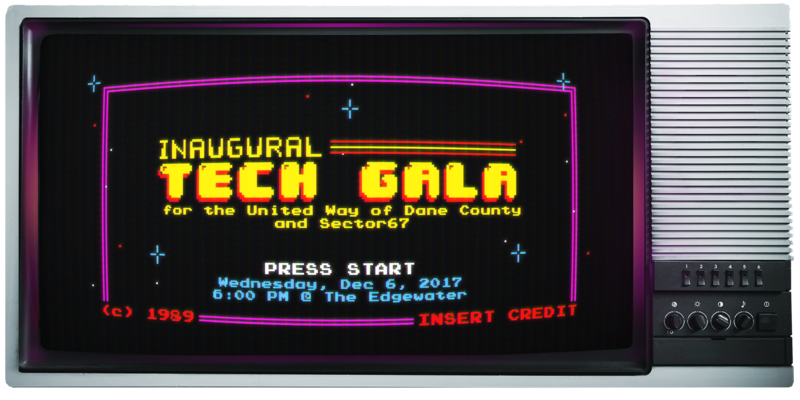 The goal of the Tech Gala is to engage our employees, family, and friends to come together to help a good cause, support the whole Madison community, and have a little fun in the process.